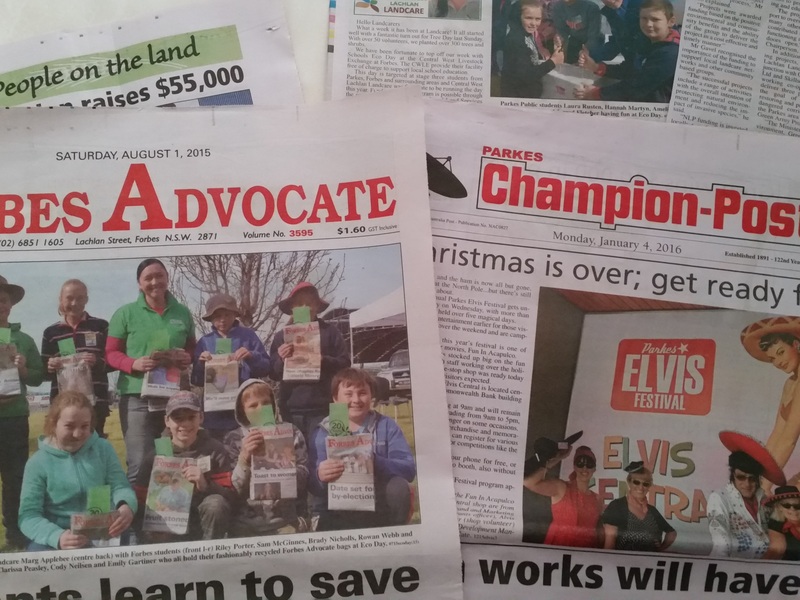 Central West Lachlan Landcare (CWLL) were pleased to partner with Parkes Shire Council, Planet Ark and Toyota to run Parkes National Tree Day on Sunday, 29 July at Akuna Road. We were excited to have nearly 70 volunteers working on planting, staking, watering and mulching in an area adjacent to the new Parkes Shire Water Treatment Plant. This year’s planting will provide a ‘green space’ to compliment the infrastructure of the Plant. This area closely links with plantings from the National Tree Day planting area three years ago and extends the wildlife corridor from existing Fuzzy Box bushland in the area. The existing plantings have grown extremely well, with excellent planting conditions making a significant impact on survival. As with any respectable National Tree Day Event, when the planting was complete, volunteers enjoyed a sausage sandwich and had a chance to catch up and reflect on the work completed, with 350 trees and shrubs being planted, mulched and watered. A fantastic achievement! This year we managed to capture nearly all of our volunteers in a group photo which was lovely. We did attempt a ‘Happy National Tree Day’ clip….but let’s just say…it has been added to the ‘out takes’ and is still a bit of fun, but we might have missed the mark a bit. Check it out on our facebook page. There’s always next year! Site preparation by Parkes Shire Council was greatly appreciated and it was fantastic to be working with Environmental Officer, Michael Chambers. Obviously the area was still dry, but we chose this year’s sites with close access to water to allow for the best possible chances of survival. 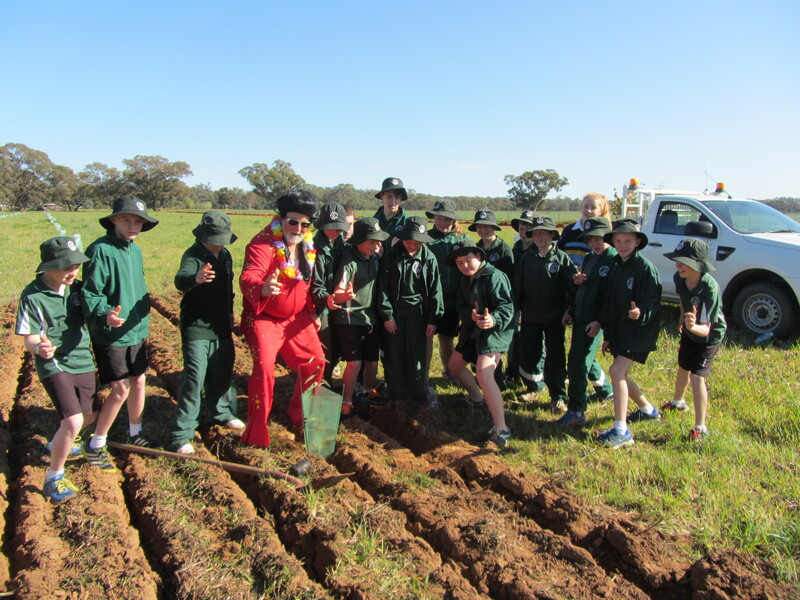 CWLL have been fortunate to have the support of Parkes Shire Council to prepare the site ready for planting. Toyota provide shirts and gloves for the day, which is a huge contribution. A big thank you to all of our Volunteers who make National Tree Day possible. It is wonderful to join with over 300,000 people who take part in NTD all over Australia each year. I find that it isn’t just the satisfaction of planting that will beautify and provide habitat, but I enjoy being able to meet new people who obviously want to make a difference in our community. It is also lovely to catch up with NTD veterans who make it a yearly commitment. If you have thought about joining us for National Tree Day each year and just never make it, follow what’s happening in our newsletter. Just go to our website and follow the links to register.